One of the reasons animal cruelty is so shocking is because these atrocities stand in stark contrast to the values of our culture and communities. In January, that cruelty reached a horrific scale during our rescue of nearly 700 animals—many showing signs of severe neglect—in Raeford, North Carolina. These animals were kept on more than 100 acres of land at an unlicensed facility self-described as “North Carolina’s most successful no-kill animal shelter.” It was called The Haven. But it was anything but. On that broken-down property, nearly 350 dogs, more than 250 cats, and 47 horses, along with exotic birds and farm animals, lived in filthy kennels and cages, outdoor pens and paddocks, some without protection from the elements. Their medical issues included open wounds, respiratory disease, kidney failure, emaciation, and many more debilitating and painful issues that had gone untreated. We also found dozens of burial sites. Working with the North Carolina Department of Agriculture and the Hoke County Sheriff’s Office, we transported the animals to a temporary shelter for medical care and assessment. By the time we were done counting, it was the largest companion animal cruelty case in ASPCA history. But as horrific as this story was, the North Carolina community refused to let it end there. 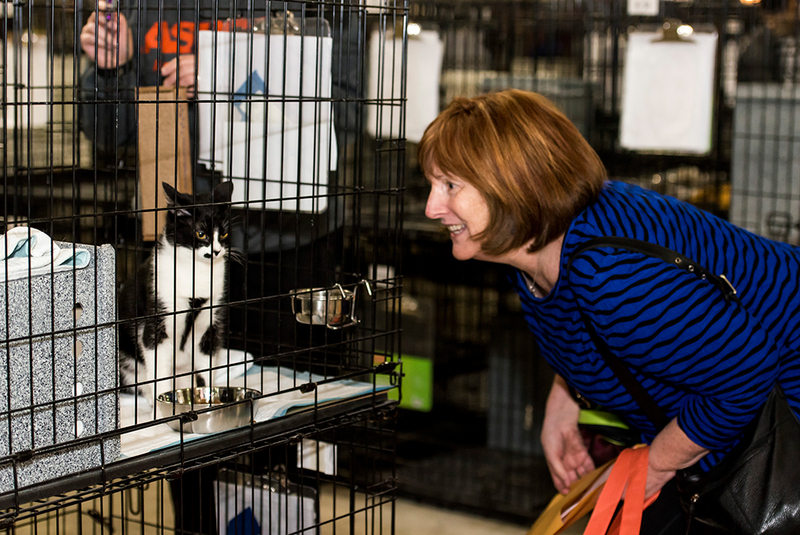 During a scheduled three-day adoption event for the adoptable dogs and cats beginning on March 18, nearly 3,500 people showed up from across the state and farther. Cars jammed the lot, and overflow traffic was diverted to an adjacent lot. By 9:45 A.M. the first morning, at least 300 people were in line, and groups of 50 were ushered into a large tent where they filled out adoption applications. 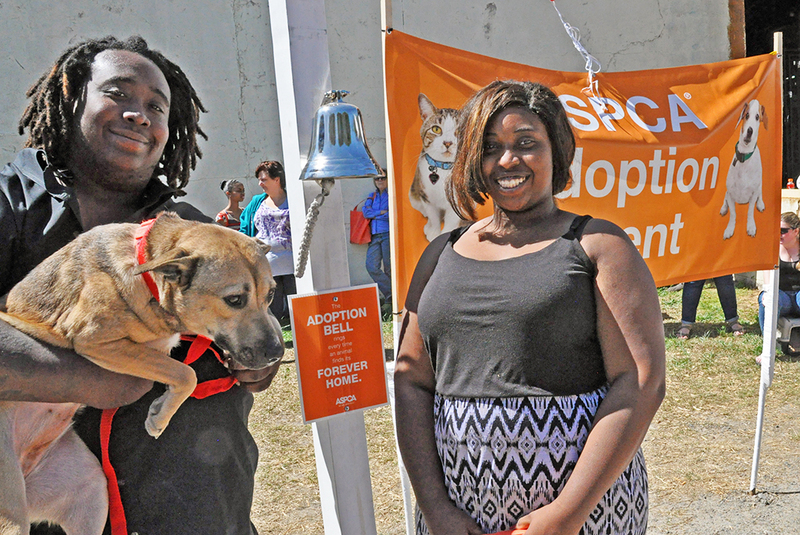 A loud bell rang out for each completed adoption. 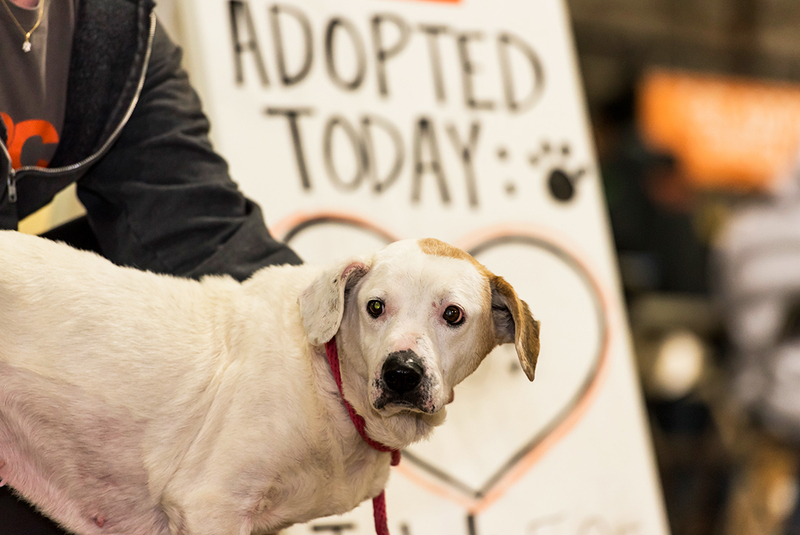 Ultimately, all 524 adoptable animals went home with new families in just under 12 hours across two days—a clear testament to the community’s deep compassion and determination to right a terrible wrong. Some of these animals were senior pets, while others required medication or had special needs. The remaining animals will be placed with our national network of animal welfare agencies, as well as our ASPCA Behavioral Rehabilitation Center, to best prepare them for adoption. Thousands of people driving many miles to rescue animals in need is not simply a community looking to help; it’s a community connecting their humane values to the enormous value of animals, and committing to saving their lives. We did our part by waiving adoption fees and providing complimentary spay/neuter surgeries, microchips and vaccinations. 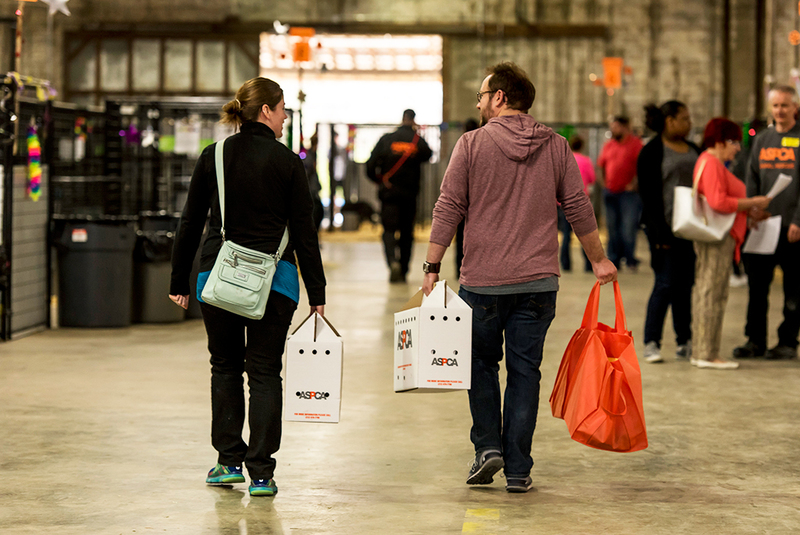 Members of our ASPCA Field Investigations and Response, Legal Advocacy, Anti-Cruelty Behavior and Veterinary teams were also on hand to help answer questions about animals’ temperaments and medical histories, and to ensure strong matches. But ultimately, the weekend wasn’t about our rescue work. It was about other rescuers—people like James and his fiancée Jessica of Lemon Springs, who adopted the first available dog, a red mixed-breed pup named Bentley. And people like Kim and Stewart, who adopted the last available cat, Avocado, as a gift to each other in honor of their twelfth wedding anniversary. In between Bentley and Avocado were 522 other stories of once-victimized animals, now given safe homes and new lives. Communities standing up for animal welfare like this represent one of the strongest sources of hope for animals in danger and in crisis across the country. If such an outpouring of compassion can happen here—at the site of one of the most deplorable acts of animal neglect on record—it can happen anywhere. The best way you can prevent animal neglect and abuse is by supporting your local shelter through adoption, volunteering, or contributions. 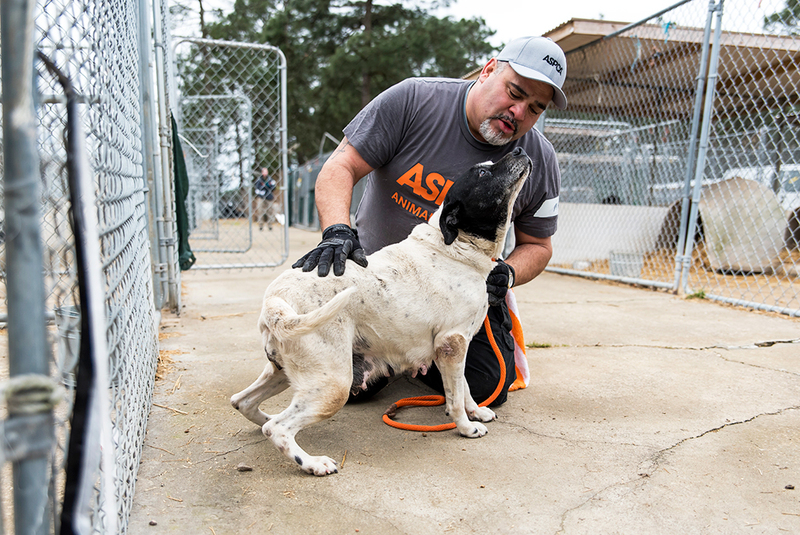 The ASPCA turns 150 years old this April, but your role in rescue has never been more important than it is right now.